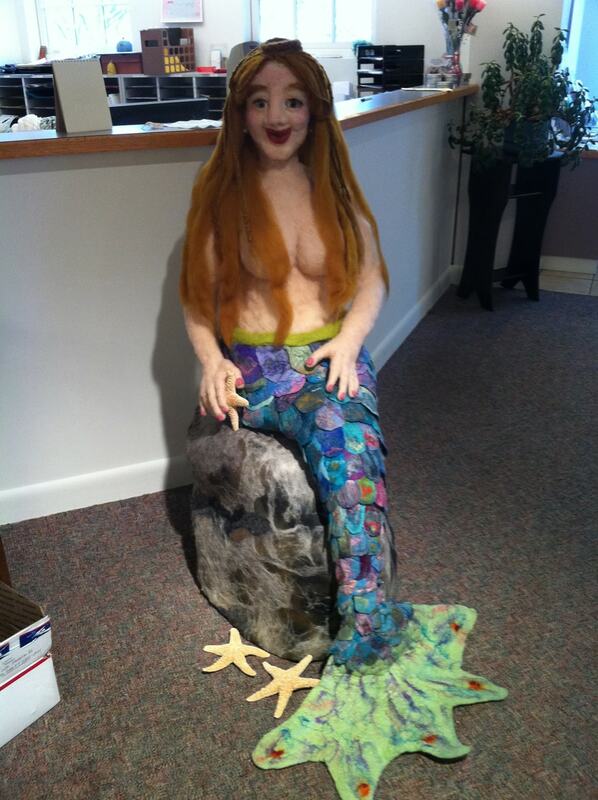 The Fisherman’s Wife is life size and sits on a felted rock. Her upper half is needle felted and her lower half is wet felted. Each scale was felted separately and embellished with hand dyed silk fibers, then felted together as a whole.